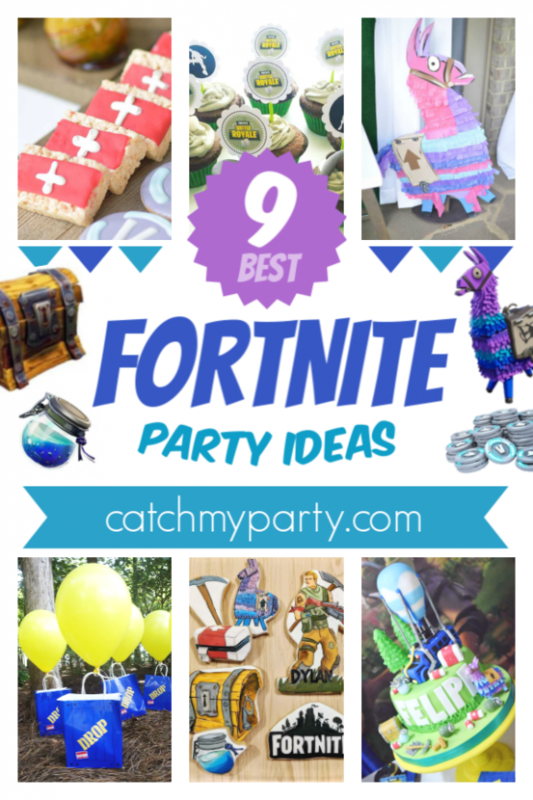 If you have a kid wanting a Fortnite party, then you won't want to miss our 10 best Fortnite party ideas! We've ideas for a Fortnite dessert table, a birthday cake, a Fortnite cookies, Krispie Treat Med Kits, and so much more! 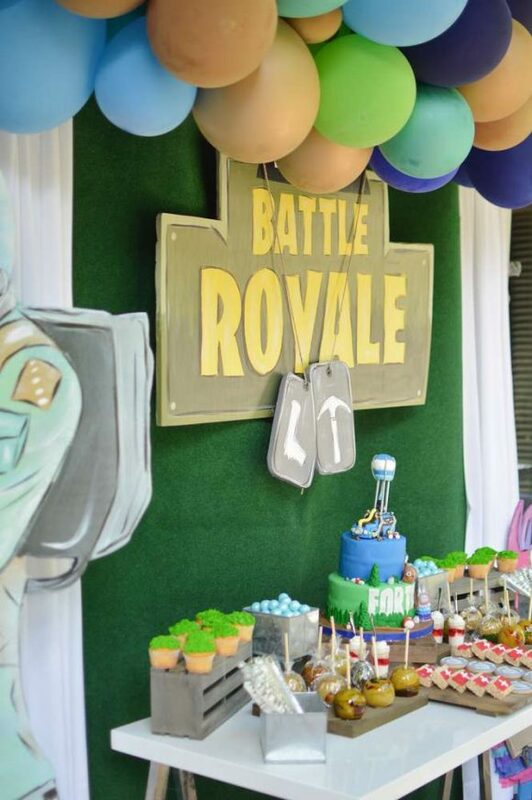 Set the scene for a cool Fortnite themed birthday party with a dessert table like this one. The backdrop is made up of the Battle Royale logo and some large dog tags, all placed under an awesome balloon garland. 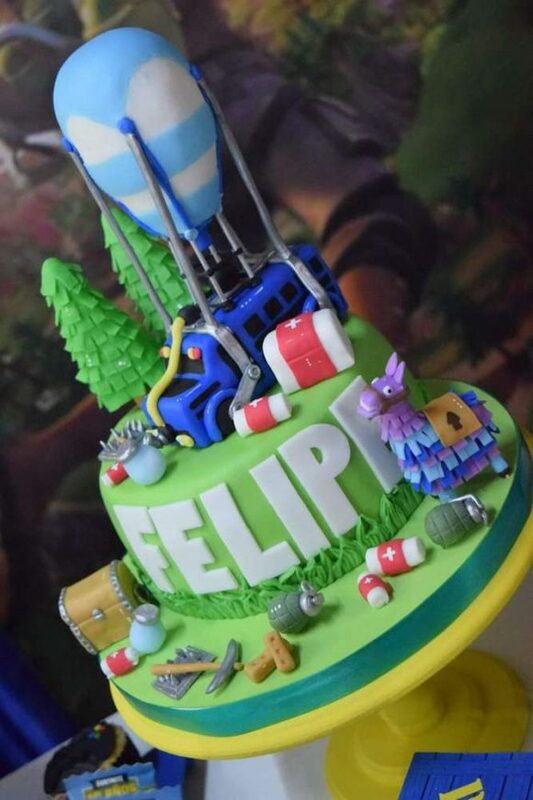 If you're looking for a Fortnite birthday cake that is going to stop your guests in their tracks, then this cake is going to do exactly that! Decorated with a bunch of Fortnite fondant elements such as med kits, weapons and even a supply llama. 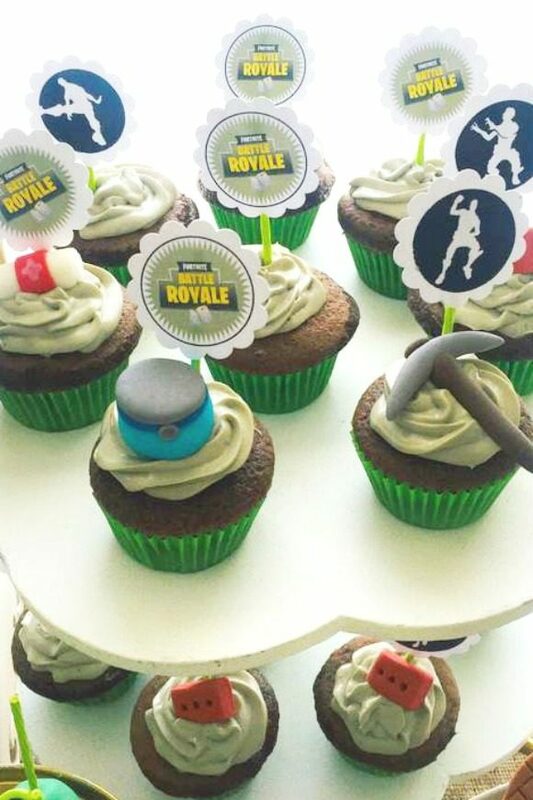 These Fortnite cupcakes are fantastic. Each one has a Fornite party circle and some even have a fondant element that belongs to the Fortnite universe. 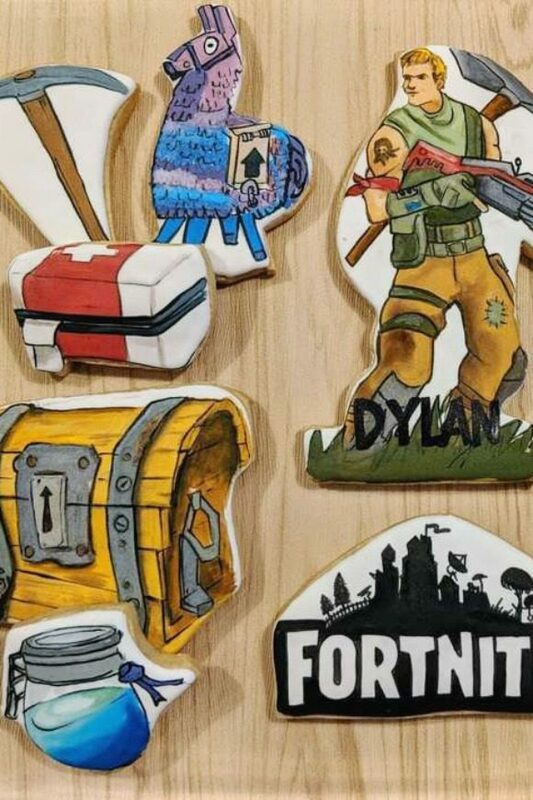 You'll have a hard time finding a cooler batch of Fortnite cookies then these! This mix includes a beautifully hand painted supply llama, med kit, chest, weapons and a skin. As you know, med kits are an important part of the game, and are key for healing. 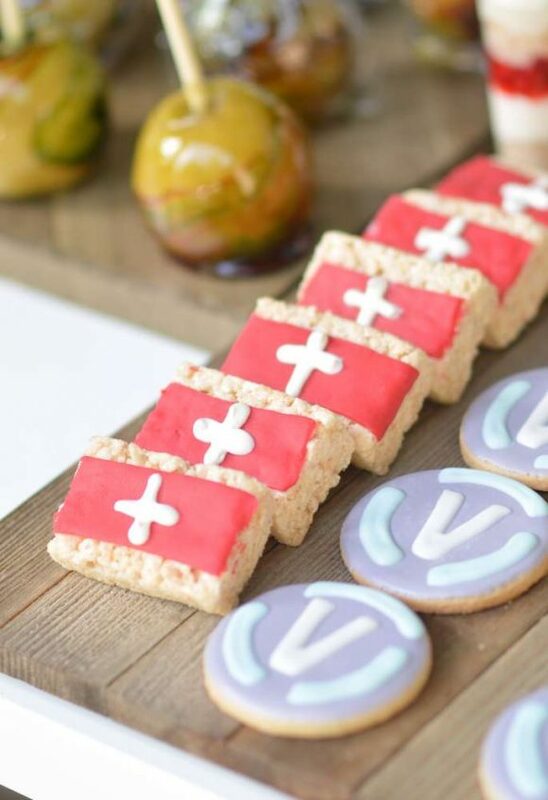 These Rice Krispie treat med kits are a fun addition to a Fortnite party and are a great themed party food, as are the V Buck cookies besides them. 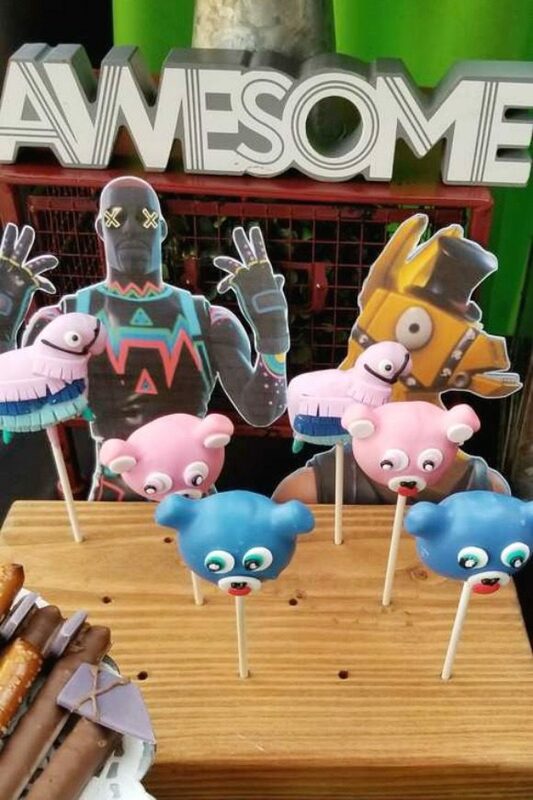 Check out these cool Fortnite cake pops! You'll find a some fun supply llamas and pink and blue teddy bears. Shield potion is also a rare consumable healing item in Battle Royale that increases a player's current shield. Let your guests have a go at some of this awesome potion in the form of Jello. It's the perfect party food for a Fortnite party! As we all know, kids love bashing a pinata to bits and catching all the delicious candy that falls from it. 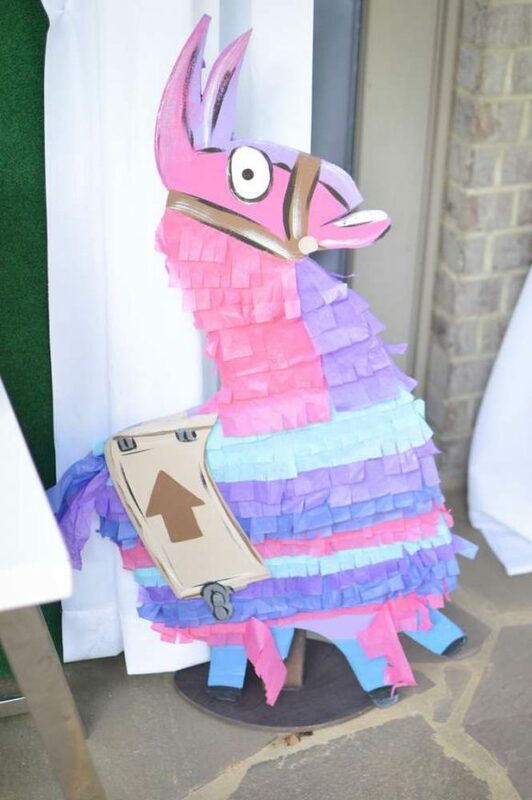 This Supply llama pinata is just what you need at your Fortnite party, and it doubles up as a cool party decoration too! 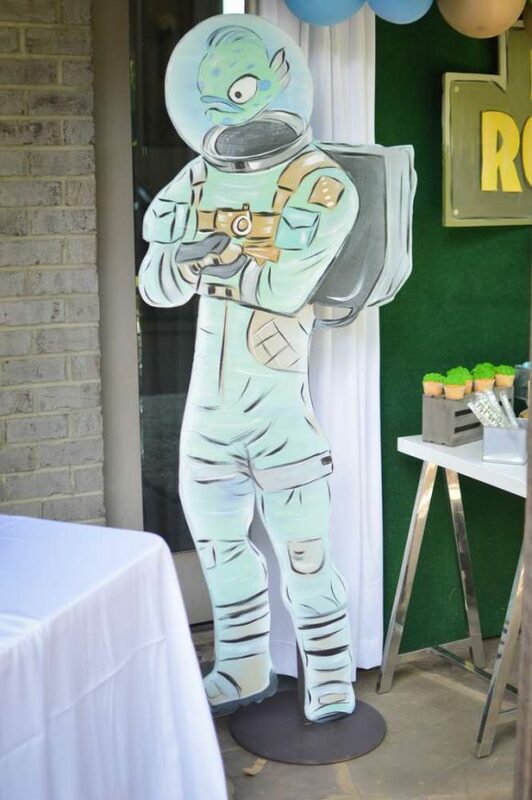 Decorate your party with a cut out of your favorite Fortnite skin. This Leviathan decorating the party is a great addition and kids will love it! 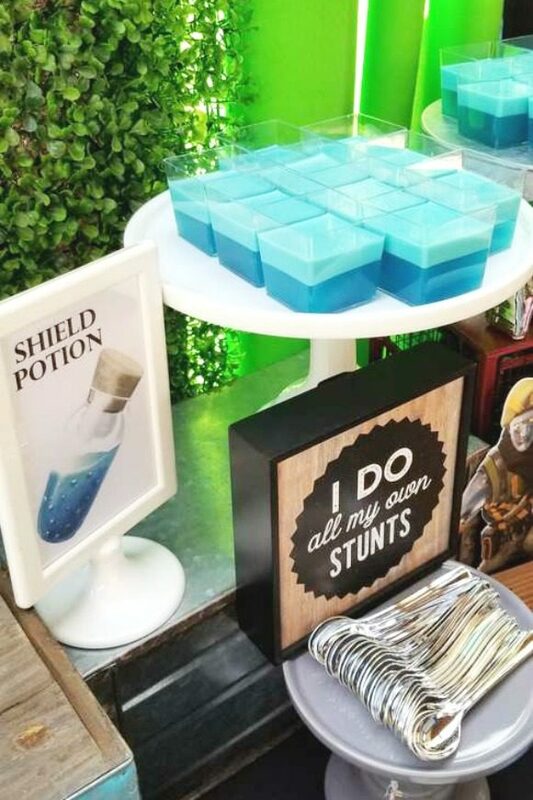 Send your guests home with their very own supply drop! They are really simple to make. 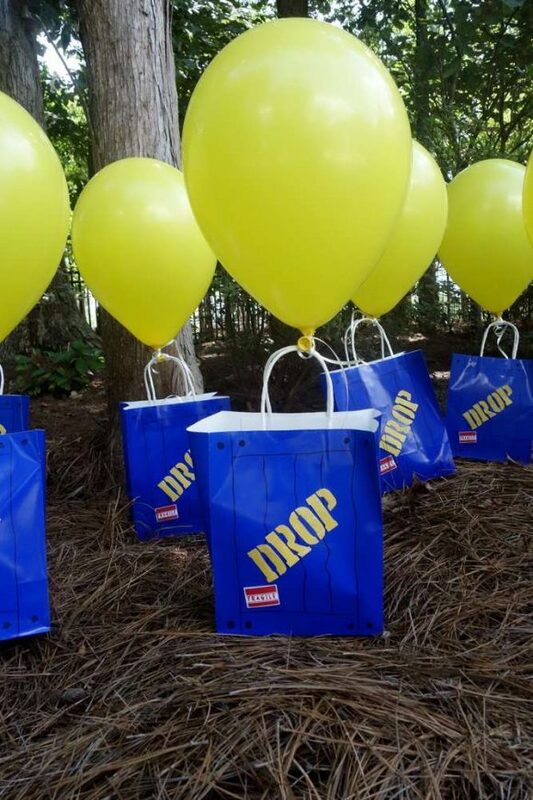 Tie a yellow helium filled balloon to a 'drop' crate paper bags and you're good to go.